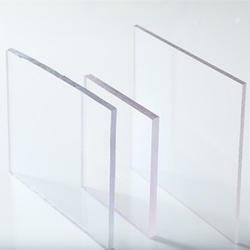 Prominent & Leading Manufacturer from Rajkot, we offer polycarbonate transparent sheet, polycarbonate solid sheet, clear polycarbonate sheet, pc corrugated sheet, polycarbonte uv solid sheet and polycarbonte roofing & glazing sheet. 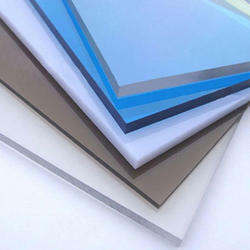 TILARA PC COMPACT SHEET have high impact strength and are also high temperature resistant. Both have special co-extruded ultra violet (UV) protection. Virtually unbreakable, and yet as transparent as glass with less than half its weight, Compact Sheets are easy to fabricate as well as to install. Known for their excellent insulation properties, these sheets are suitable for cutting, drilling, bending and thermoforming as well. 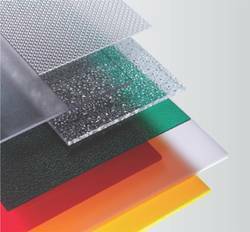 Tilara polycarbonate compact sheet offers a unique combination of material properties that makes it superior to other thermoplastic material or glass, making it the ideal product for roofing, glazing and fabrication. PC COMPACT SHEET: has high clarity and good performance for application where good visibility is important. It also has excellent temperature performance which gives good fire properties, the material is even self-extinguishing. Compact PC is well suited for thermoforming or machining. It provides unbeatable impact resistance, 200 times stronger than glass, providing protection against breakage and shattering. It easily withstands a blow a hammer, hence it is extremely suitable for use in safety glazing applications also in applications which require enhanced shatter resistance protective screening. Special resins are used when food approval or flame retardant characteristics are needed. We ensure that our PC Corrugated Sheet goes through different quality tests to maintain the desired quality standards for our offerings. Alongside innovation, we maintain a great variety of essentials too, tried and tested by our loyal customers. 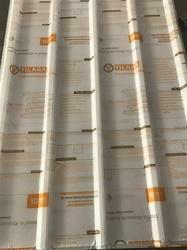 TILARA PC Compact Sheet and roll is available in clear for maximum light transmission, clear embossed and a range of color including bronze, green, blue, opal and grey. Pc compact sheet:has high clarity and good performance for application where good visibility is important. It also has excellent temperature performance which gives good fire properties, the material is even self-extinguishing. Compact PC is well suited for thermoforming or machining. It provides unbeatable impact resistance, 200 times stronger than glass, providing protection against breakage and shattering. It easily withstands a blow a hammer, hence it is extremely suitable for use in safety glazing applications also in applications which require enhanced shatter resistance protective screening. Special resins are used when food approval or flame retardant characteristics are needed. 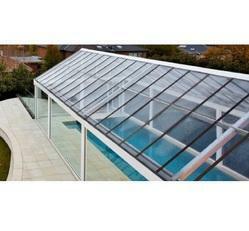 We are the leading supplier of Polycarbonate Solid Sheetmade available to our clients at competitive prices. 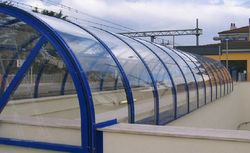 We are the leading supplier of Polycarbonate Compact Sheetmade available to our clients at competitive prices. 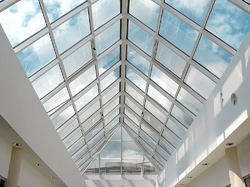 We are the leading supplier of Skylight Polycarbonate made available to our clients at competitive prices. 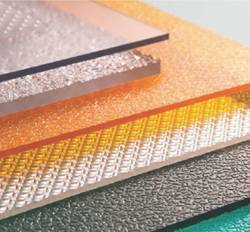 Looking for “Polycarbonate Solid Sheet”?